The Amsterdam University of Applied Sciences (AUAS), Delft University of Technology (DUT), Dutch INCERT, The Netherlands Knowledge Platform for Charging infrastructure (NKL) and TKI Urban Energy cordially invite researchers, academics, applied researchers and practitioners to share knowledge, spur innovation and create new linkages in the field of charging infrastructure for electric mobility. We are looking forward to see you on the 8th of February 2018 in Delft. 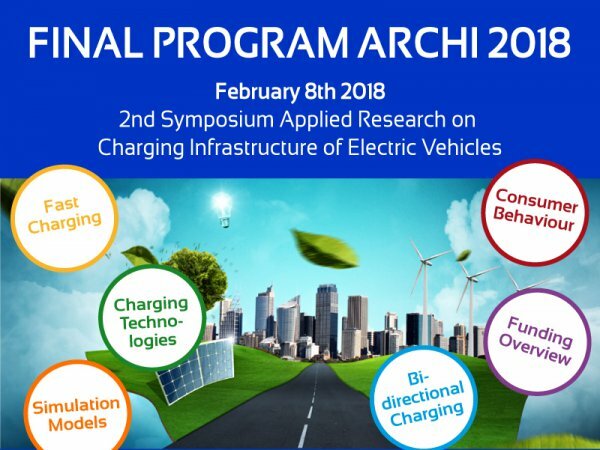 Make sure you register for ARCHI Symposium Applied Research on Charging Infrastructure before the 5th of February 2018. Capacity is limited so make sure you sign up to reserve your seat.